Robertson Davies’ daughter Jennifer Surridge spent 15 years typing a literal transcription of her father’s diaries. And no wonder it took so long. The author, playwright, newspaper publisher and first master of the University of Toronto’s Massey College was a lifelong diarist, producing more than three million words. Surridge, collaborating with Ramsay Derry, her father’s friend and former editor at the Macmillan Company of Canada, selected the years 1959 to 1963 for publication. 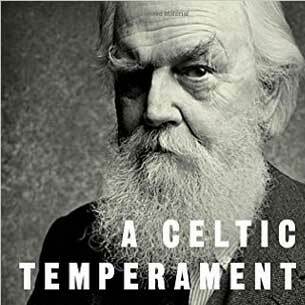 A Celtic Temperament is Davies at midlife and mid-career, a time of grand successes and wrenching failure. It is a fascinating look at the brilliant, moody and often insecure man known today as one of Canada’s greatest writers. Davies lived out his later years near Caledon East. Derry owns a country home in Caledon. The Caledon Living blog provides simple answers for healthier families through research, tutorials, recipes, and living life with lots of kids! Get the latest Caledon Living news!